Car air conditioners: what are they? How to pick yours? • The Air Geeks, reviews of air conditioners, dehumidifiers and air purifiers. 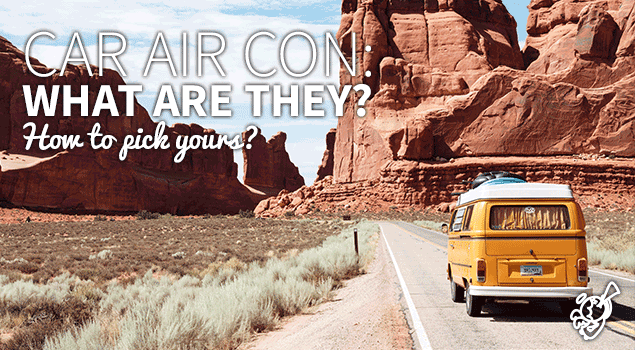 Blog, Portable Air Conditioners » Car air conditioners: what are they? How to pick yours? Car air conditioners: what are they? How to pick yours? The air cooling system is an essential component of your car. It cools your car and creates a comfortable environment for you and your passengers. This unit is particularly important for people living in hot areas where the temperatures can rise to unfavourable levels. Driving a car in such environments without a strong air conditioner can be a horrible experience. As such, it is necessary to ensure that the air conditioner of your car is always in good conditions especially during the hot seasons. 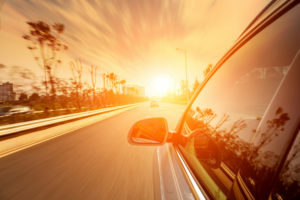 A car air conditioner, just like any other component, can develop issues during the hot season. If you are unable to replace it as soon as possible, you may find it difficult to drive your car especially during the hot hours of the day. Some air conditioners may not be powerful enough to cool the entire car. If your car has such an air conditioner, it may not provide your passengers in the back seat with cool air. In case your car does not have a powerful air conditioner to cool the entire space or if its air conditioning system is broken, you can still enjoy cool air by using a portable car air conditioner. Portable car air conditioners come in different shapes, sizes, and designs. These easy-to-use units are usually affordable and have low power needs. The cost of running these units are usually low and they are therefore a suitable choice for people who are looking for alternative cooling solutions. Apart from using the portable unit inside your car, you can also use it in your tent, camp, and anywhere else where you may need an air cooling system. If you have been tolerating unfavourable temperatures in your car, then you can transform the environment by adding a portable air conditioning unit. These units are designed to cool your car without demanding a lot of power. Portable car air conditioning units enhance the circulation of air in your car to improve air quality and create a favourable environment for you and your passengers. Most portable car air conditioners are designed to use 12V DC from the battery of your car. You can either use your car’s battery or an alternative source of power. This cooling solution normally comes with a cigarette-lighter plug that allows you to use it without any special modifications. Considering that portable car cooling solutions are not designed for a particular model of a car, you can select a unit from a wide range of designs depending on your cooling needs and where you want to place it. Are you worried that a portable car air conditioner will produce loud sound and distract you? Most of these units don’t have a compressor and they are therefore relatively quiet as compared to portable home air conditioners. Furthermore, you can position this unit anywhere as long as it is providing your car with cool air needed by your pet, baby, passengers, or yourself. Some portable air car conditioners are big and bulky and they are therefore unsuitable for cars with limited spaces. As such, it is important to consider where you will be placing the unit before selecting a particular model for your air cooling needs. If you have a small car, then a compact air conditioner is a suitable choice. On the other hand, if space is not an issue, you can select a bulky air cooling system. Before you select a particular unit, it is important to understand the applicable traffic regulations. In some places, it is illegal to have items such as portable car air conditioners on your dash board. In such places, one needs to look for another suitable place for an air conditioner. Understanding the regulations prior to selecting a particular air conditioner will help you to select a unit that will fit well in an alternative position that you will have identified. It’s nice to count on a good Car AC unit! The cost of buying a portable car air conditioner varies depending on the design and cooling capacity of a unit. In case the air cooling system of your car is broken and you are considering a portable alternative, then it is important to compare the cost of repairing your car’s air conditioner and that of buying a new portable system. In most cases, the cost of repairing the air cooling system of your car will be higher. Before selecting a particular model for your car, it is important to understand your needs. Some portable car air conditioners have more features than others. Are you looking for a cooling solution that will cool the back seat or are you just interested in cooling the driver’s place? Whereas some units are powerful enough to cool the entire car, others are less powerful and therefore unsuitable when you want to cool your entire car. Are you looking for an air conditioning unit that will ensure that your car is free from tobacco smoke? Some portable car air conditioners are designed to cool the air in your room as well as remove airborne particles such as tobacco smoke and dust. Others are just designed to cool the air without removing airborne contaminants. If you smoke or you have a pet, then you need a unit that is capable of cooling your car as well as capturing airborne contaminants. If your car has a faulty air conditioning unit or if it is not powerful enough to circulate air as expected, then you can improve the air quality by adding a portable air conditioner. This energy efficient unit improves air circulation to create a comfortable environment for you and your passengers. Before you select a particular portable car air cooling solution, it is necessary to consider your cooling needs and other important factors. After investing in a good portable air conditioning unit, you and your passengers will no longer endure unfavourably high temperatures. Welcome to The Air Geeks! We help you choose the right air product for your home. Happy browsing!  Best quiet portable air con.  Best cheap portable air con.